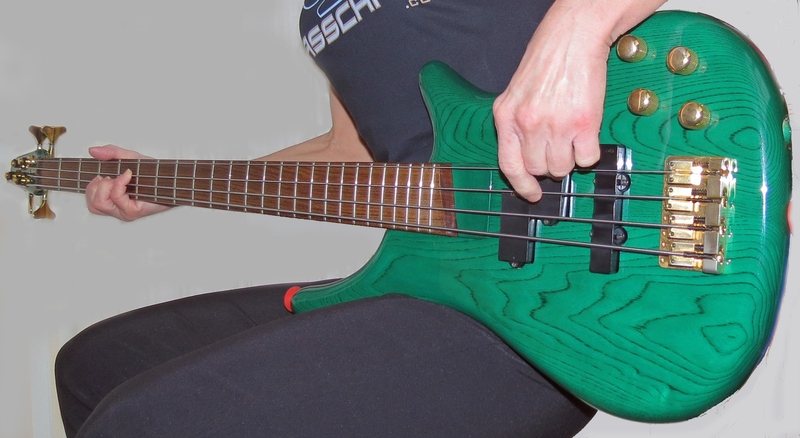 We know that being left-handed in a world where nearly 90% of humans are right-handed can be – shall we say – challenging, but is your lot any better, or worse, if you are a musician? On these pages I don’t intend to deal with left-handedness in general terms. I’m a lefty bassist and I’m on a journey to discover how other musicians – particularly bassists – who are in my situation feel, cope with the challenges we face, and react to our specific problems and the criticism, prejudice or hostility we sometimes experience. My starting point will be a certain amount of online research on a number of chosen themes linked to left-handedness in music; I’m planning to present my best finds here, comment on them on the basis of my own experience, then ask readers to add their own two cents (or full-fledged written contributions if they prefer), and help make this a really valuable shared resource for all of us. While it’s reassuring to read about the many left-handed musicians – even among the ones aged over 50 or over 60 – who made it big, I can’t help feeling depressed at the thought of how many lefties (famous and unknown) have, for a variety of reasons, had to learn to play righty. There may well be as many ‘closet’ lefties as there are ‘out’ lefties, so to speak, or even more. Essentially, if we ignore ‘closet’ lefties who play full righty, there are three kinds of lefty players: those who play full lefty, those who play upside-down righty, and those who play upside-down righty instruments but restring them as lefties. The three separate lists are highly intriguing, and contain a few surprises. Phil Brodie’s page shows another good list, with handy photos and mini-blurbs, of lefties in music, including drummers. On the basis of all of the above, I can say I understand (as well as pity, TBH) those lefties who learned to play a righty instrument, upside-down or normally, because they had no access to a proper lefty instrument and/or wanted to be able to choose among a higher number of often cheaper models. 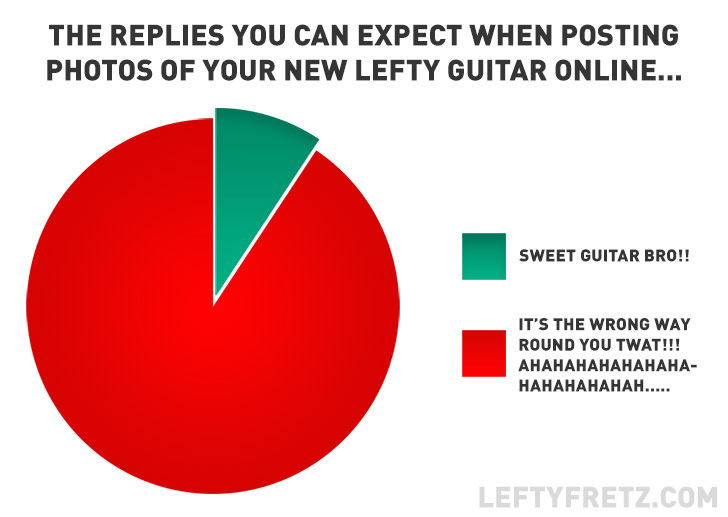 But taking a righty guitar, turning it upside-down and then going through the trouble of restringing it as a lefty seems a bit weird to me. 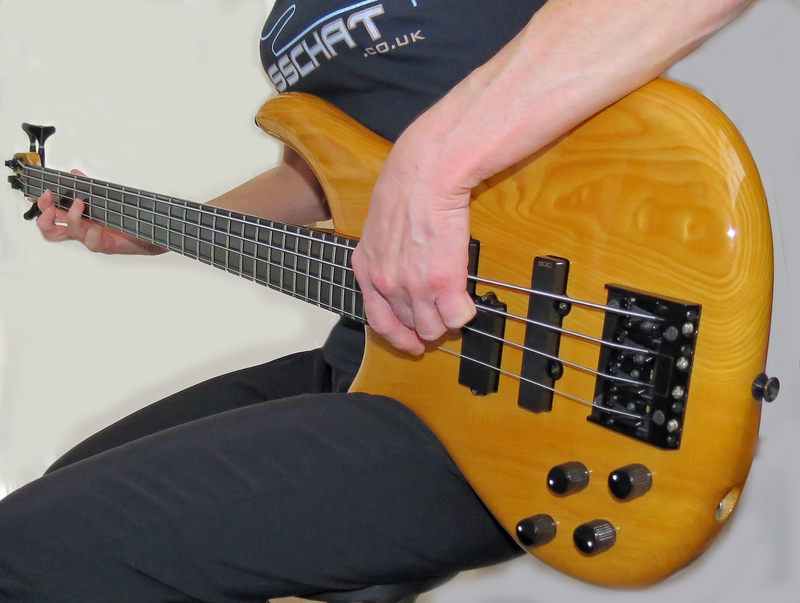 The hassle of having to replace or modify the nut and possibly the bridge is added to the bother of an instrument’s body that’s shaped all wrong. Is this sort of hybrid setup really that much cheaper and/or more convenient than getting a real lefty? Can anyone enlighten me on why it’s a relatively common option? The photos below show me playing one of my proper lefties and me attempting to avoid messing up the tone knob on an identical, righty model. And that’s before I mention the lower horn sticking wooden bits in my ribs, and the ‘wrongly’ moulded backs of some other righty bass guitars I’ve tried. No contest, I’d say. My future blog entries will deal with lefty groups, my findings on the variety of opinions about and feelings towards being left-handed, and the choices we are faced with if we want to be musicians. I’m planning to continue with some psychology-related insights and mentions of useful material (books, videos etc.) .